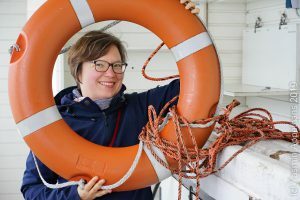 My friend Alice Langhans runs a super cool science communication Instagram (@edu_al_ice), where she posts about her experiences as PhD student in physics education research. And there is a lot more going on on that Instagram than just pretty (but oh so pretty!) pictures. I make sure to read all her posts, because there are always interesting, motivating, inspiring thoughts hidden behind that “read more” button. 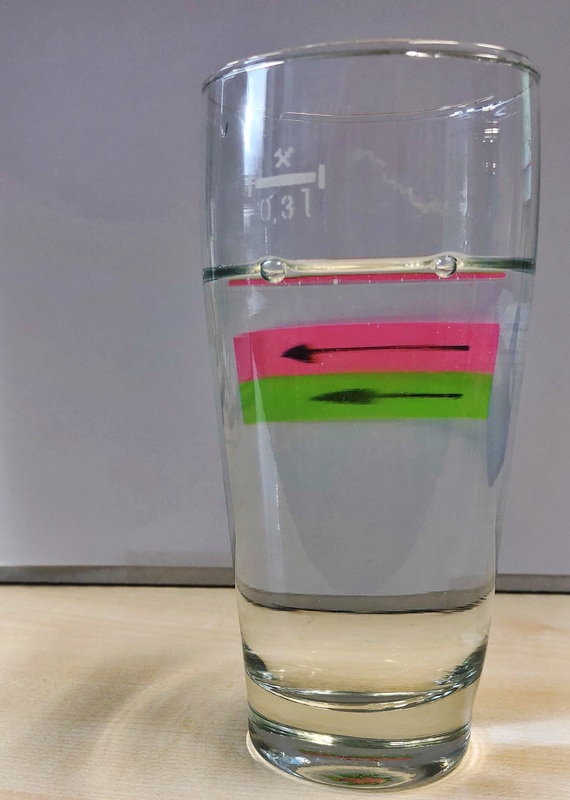 And now she’s even started a new series of physics experiments on #experimentalfriday, and I am super excited that she wrote this guest post for me! Click for large picture. Picture by Alice Langhans. 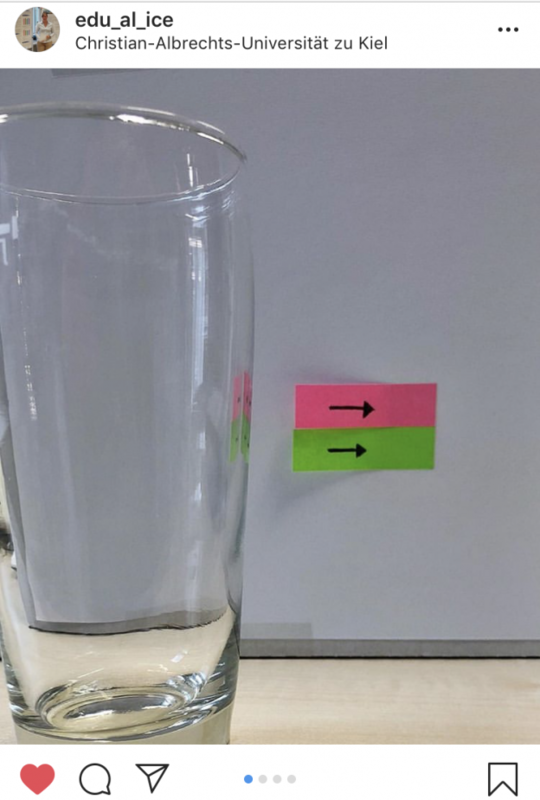 First, the arrows are unchanged and visible through the glass. 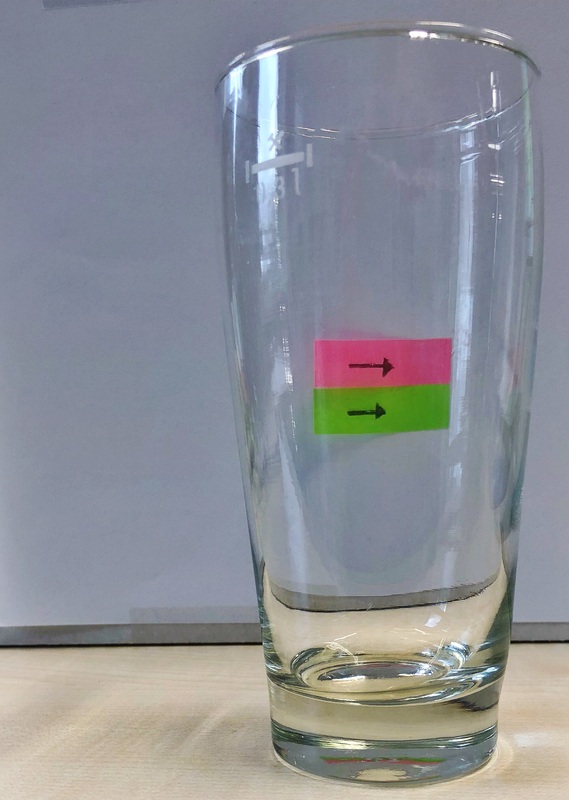 Adding water to the glass, the image of the arrow gets bigger and appears mirrored! 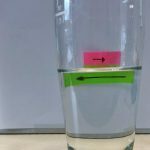 With even more water even the second arrow appears bigger and mirrored. 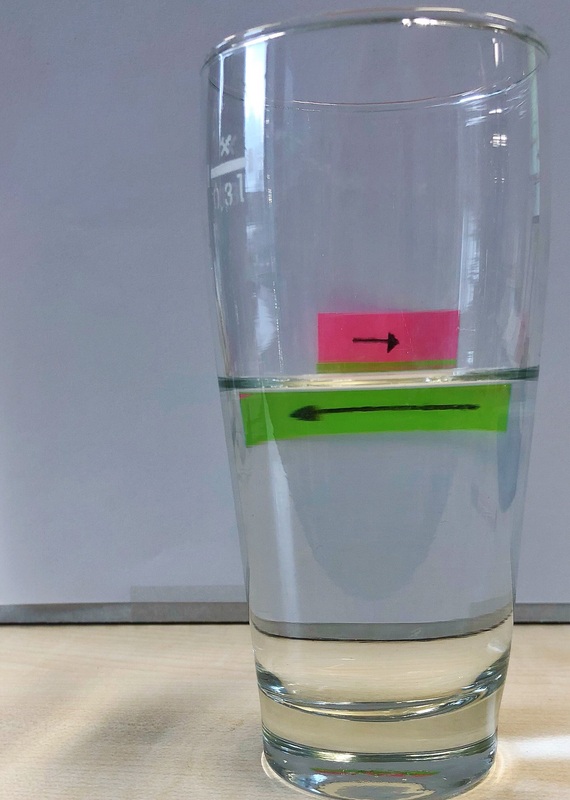 The waterglass I used is round and the refraction of light in water is different than in air, which makes the water glass act like a positive (converging) lens. 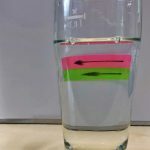 This is why the image of the arrow appears bigger and mirrored. Think of the arrow as many points, each of which is the source of a divergent bundle of light. The light coming from the point that is the arrowhead on the right, is refracted through the waterglass and reaches our eye to the left. The light from the left end of the arrow refracts in such a way that it now enters our eye on the right side. 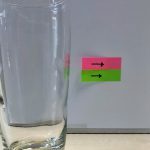 Notice, how you can also see how the upper arrow appears even bigger? 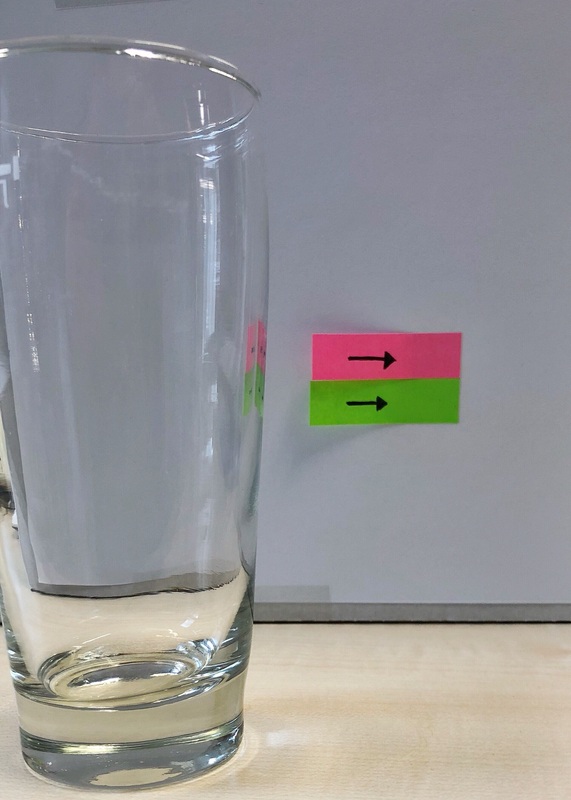 The glass is more wide at that height, magnifying properties of the water glass lens are therefore increased. 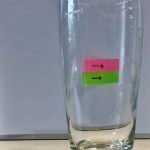 This entry was posted in demonstration (easy), hands-on activity (easy) and tagged Alice Langhans, guest post, magic, refraction, refraction index, refraction of light on January 12, 2019 by mglessmer.